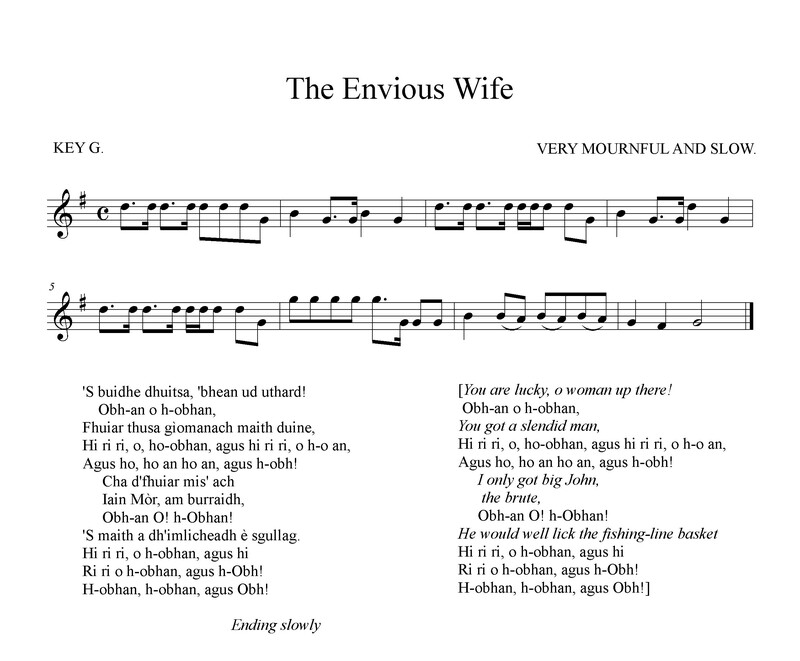 ‘The Envious Wife’ is also very old and uncommon, and probably never would be heard again. The few people who know this style of music are disappearing fast. 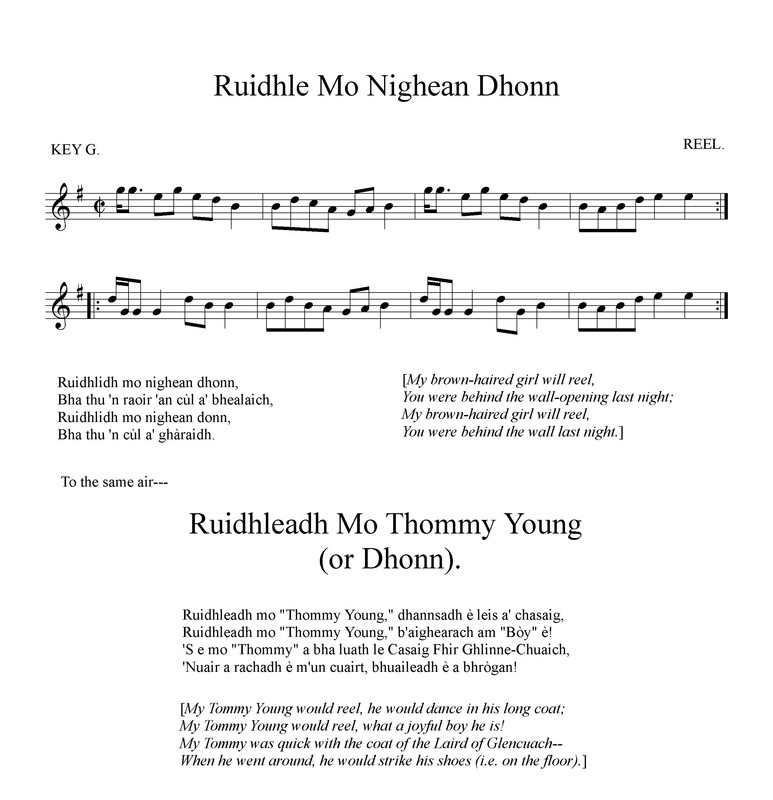 “Ruidhlidh Mo Nighean Donn” is a pretty common pipe tune, and very effective. There are several versions of it. 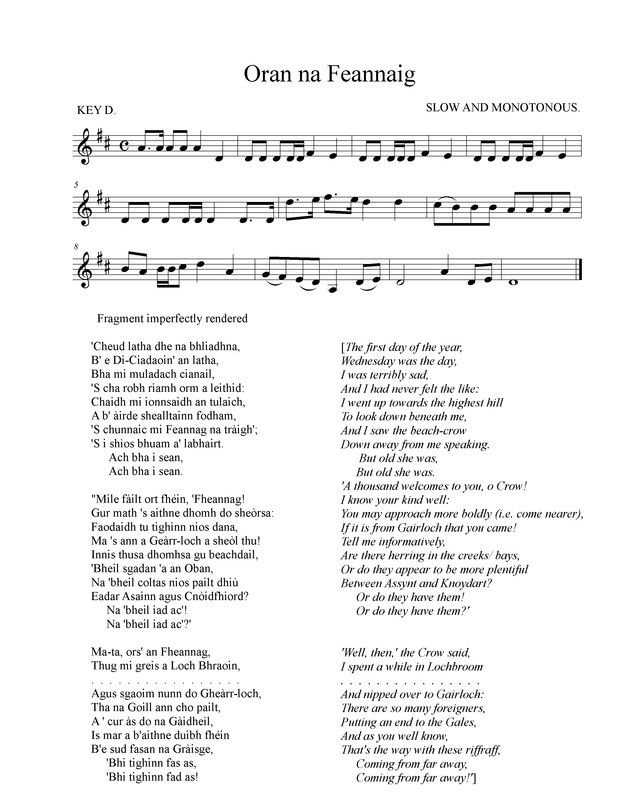 “Oran na Feannaig”–“The Crow’s Song”–is a very ancient Skye song, in the form of a dialogue, like “Oran na Comhachaig”, or “The Song of the Owl”. 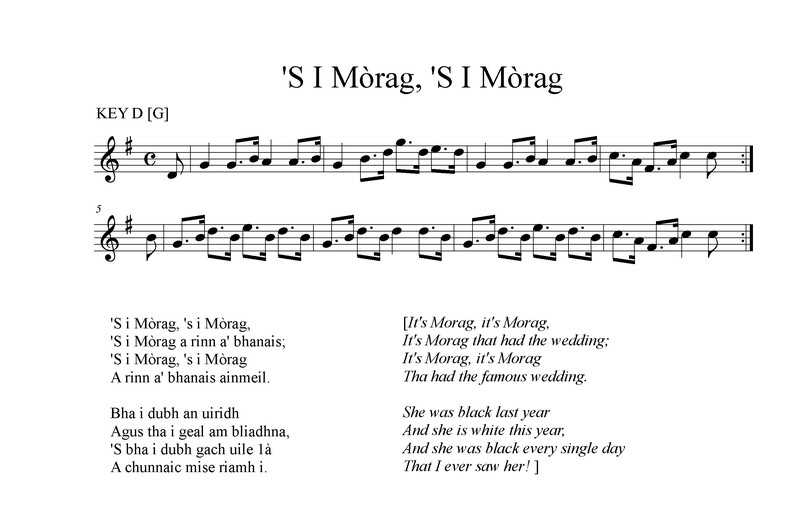 So far as we know, it may be as old as the famous Lochaber song.